If you watch pro Counter-Strike, you’ll notice that pro-gamers often use only a portion of the guns available, often shunning devices altogether. This might be difficult to understand for newer players to the game. 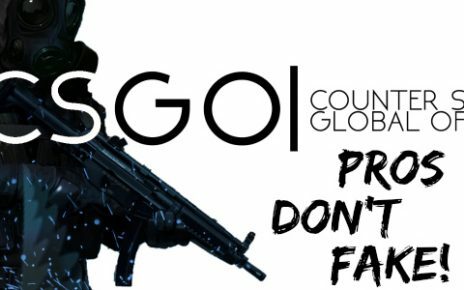 In this article, I will discuss the pro’s and con’s of most weapons in Counter-Strike, and analyze why or why not pros use it. I will also be disregarding some guns that no one uses, such as the R8 Revolver. Let’s start with the pistols. These guns are cheap and are used by eco’ing teams, on the first rounds, and as backup weapons. The desert eagle is an iconic pistol in Counter-Strike, known for its famous “Juan Deags”. Capable of one shot headshotting anyone regardless of armor and distance, this pistol can be deadly in the right hands. The desert eagle has horrible recoil and spamming with it is not an option. It also has a slow recoil adjusting time, and is very difficult to use. Pro’s use it because they are capable of hitting nutty shots with it, beating players with rifles with the deagle. The five-seven is a very easy to control pistol, that has forgiving recoil and generous bullet clips. It has decent armor penetration, but its headshot potential is a lot less than other weapons and it has an average rate of fire. It is also only available on the CT side, and you can choose to either equip this, or the CZ-75 in your loadout. This is a preference based device, and most pros prefer the CZ for the reasons listed next. The CZ is the pistol with the highest rate of fire in the game, almost as high as an AK or M4. It can kill an unsuspecting user in seconds and is a favorite pistol along with the Deagle for most top-tier players. The drawbacks include small bullet clips, with only two sets of twelve bullets, a long loading animation, and a hard to control recoil pattern. For those with good control, however, the CZ can be very deadly. Everyone’s favorite weapon, the Tec 9! This pistol has long been hailed as an overpowered device, with extreme run and gun capabilities. A tec 9 rush is a very potent eco round strategy and is very successful. This pistol has the best moving accuracy in the game, capable of wiping out enemy players at close range quite easily. It is only available on the T side, and gamers can choose between the tec 9 and the CZ. Ninety nine percent of professional players use the tec 9, because it is quite frankly unbalanced and overpowered pistol. In fact, during half buys, many pros would prefer this gun over an SMG, that is how powerful it is! Often bought for the headshot potential. It is basically a slightly powered up glock, and can one shot headshot opponents without helmets. It is also very cheap, costing a measly $250. This is often bought by T’s on eco’s and as backup weapon. The terrorists default pistol. This is considered the weakest gun in the game, almost useless at long ranges, and a two shot headshot against opponents with no helmets at close range. All players use it, because it is given for free at the start of the round, and is useful in pistol rounds when you want to buy Kevlar, or you are buying a rifle. A powerful CT pistol, it is deadly accurate from long ranges and is a one shot headshot against unarmored opponent. However, it is very weak if you don’t get headshots. It is one of the CT’s default weapons, with players having to choose between the P2000 and this. Many pros choose this gun over the p2000 because they are good at hitting headshots. A slightly powered up glock and the other option for the CT default pistol. Not many pros use it because a USP is quieter and is better with headshot potential. Next, we will go over the submachine guns or SMG’s. These weapons are cheaper than rifles, and most give a double kill reward. Often used on rounds following the pistol and when teams want that little bit of extra utility. The cheapest SMG, costing $1050 and only available on T side. Very good running speed, and can shoot a ton of bullets very fast. Ineffective against armor, but very powerful otherwise. $600 kill reward, and popular on anti-eco rounds. A powerful SMG with decent armor penetration. Still takes a ton of bullets to kill someone but a high rate of fire. $600 kill reward, but not used by professionals because of a slow running speed. Basically, the CT version of the Mac-10, costs $1250. Reference the Mac-10 info to this gun. An extremely weak SMG that you wouldn’t catch a professional ever using. A high rate of fire and good for run and gun, but low damage so pretty much useless at $1400. A rare find in high-tier matches, this gun is the best SMG of them all except for two big flaws. It’s kill reward is very small, and it has slow moving speed. Other than that, it has a high rate of fire, good damage and armor penetration, and an easy spray to control. Sometimes used by pros to clean up rushes, but rarely found. The last SMG on this list is also the most used by professionals. The UMP is the most viable SMG on full buy rounds because of its armor penetration. It has slow moving speeds and a small ammo clip for a SMG, but it’s decent penetration combined with a low price tag of $1200 makes it very useful. Next, let’s move onto the shotguns. I will only be going over two of these as the others are weapons that no one uses. These guns are great at close range battles and are useless otherwise. Used to hold tight choke points on half buys or full buys. The auto shotgun, this is a powerful weapon that can paint a room with lead fast. Not having the long wait between shots like other devices, this $2000 is very useful. Many professionals use it on maps with tight choke points, but it isn’t as popular as the next shotgun. Nicknamed the Swag 7, this $1800 shotgun is extremely popular for its tight spread of lethal bullets. Often killing in one to two blows at close range, it is extremely useful for guarding tight choke points if you know how to use it. It is commonly used in the drop zone on Cobblestone, sometimes being favored over even a rifle in that situation. The problems with this weapon is an extremely slow moving speed with it, a decent chunk of time between shots, and a small ammo clip with 7 shots and a long reload time. Despite these problems, this gun is definitely a viable option, and many pros use it in their matches. Last, but certainly not least, let’s discuss rifles, the most important devices in the game. Rifles are used in buy rounds and are the guns you will see most often when watching Counter-Strike on Twitch. Without further ado, let’s get into them! These are basically the same guns, just available on CT and T sides respectively. The AUG costs $3300 and the SG $3000, and these devices are never used by top-tier players. The reason being is that the advantage of these weapons over the other rifles are that they are easier to control and come with a scope, but at the cost of damage and rate of fire. Good player that can control the other rifles view these as useless and expensive pieces of junk that can be easily out-gunned by an AK or M4. The iconic terrorist side rifle, this is probably the one of the most lethal weapon in the game, right beside the AWP. Available only on T side, this rifle is a one shot headshot regardless of armor, and has a high rate of fire. It is extremely hard to control, but once you master it, you can dominate your opponents. It costs a measly $2700, making it affordable and easily purchasable. This rifle’s only con is it’s hard to control spray pattern. The AK is seen in many pro matches, with three to five of them being purchased by the terrorists on most buy rounds. One of the CT M4’s this rifle has a high rate of fire and costs $3100. It is easy to spray with, but not very accurate when burst firing. The main drawback compared to the AK for the M4’s are that they only 80-90 damage with a headshot instead of the 100+ needed for a kill on a full health player. Has a silencer to disguise where it was fired from, and is more accurate than the M4A4. It has a very low ammo capacity, however, with only three rounds of twenty, which can cause a problem late into rounds. A fast, mobile, and cheap sniper weapon the SSG 08 usually called the scout is the rifle with the fastest running speed. It costs a measly $1700, and is a one-shot headshot and a 2 shot body shot. It can also hit an extremely accurate shot while jumping at the apex of your jump. This maneuver is called scouting. The most prominent and expensive device that is widely used. This weapon is so important that a whole role is developed around them, called the AWPer. These players are very skilled and are often the stars of their teams. The AWP is a sniper rifle, where any shot above the legs kills the opposing player, while a leg shot does 83 damage. The AWP has an EXTREMELY slow running speed, especially when scoped in. The AWP is very powerful and can be used to single handedly turn the match around. The AWP does cost $4750, and losing it can ruin your team’s economy. However, the professional’s feel like the pros outweigh the con, and it is an important part of Counter-Strike. The cheap alternative to the AK, it is inferior to the AK in every way, but it is an ok alternative, and it costs $2000. Often used when not enough money to buy an AK, and it enough to deal some serious damage. The Famas is the CT alternative to the Galil AR, and it costs $2250. Auto snipers are often considered the noobiest weapon but are sometimes used in pro matches. They are a two shot kill to the body, and a one shot to the head. It has a very high rate of fire for a sniper rifle and costs a whopping $5000. This is not often used in professional matches, but it is very effective when it is. If you are interested to get really cool skins for your weapons, then try your luck on these case unboxing services. You will get a free bonus with our code on the every website! Thanks for reading my article and sticking around till the end. 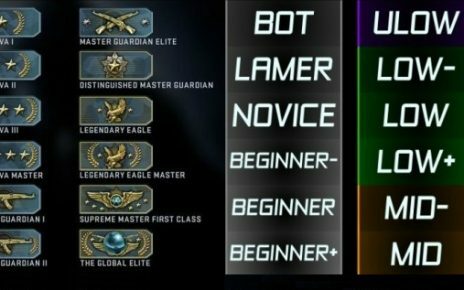 I hope this article helps clear up any confusion you have on all of Counter-Strike’s various weapons. The ones I did not mention in this article- R8 Revolver, Nova, Sawed-off, Negev, and the M249 because you probably have never seen it in a professional match because there are impractical weapons that no one but bots use. See you next time, good luck! 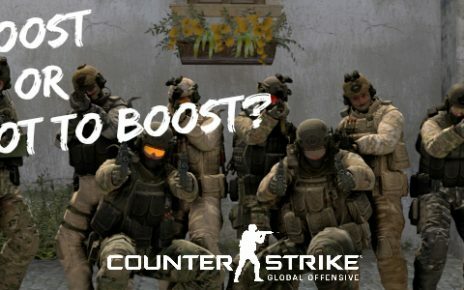 CS:GO Hacks Review – How to Spot CS:GO Cheater? How to choose CS:GO Sportsbook for profitable bets? but if he switches the descriptions people will read your comment and believe they are STILL switched, so it is better to leave them as they are. THINK!